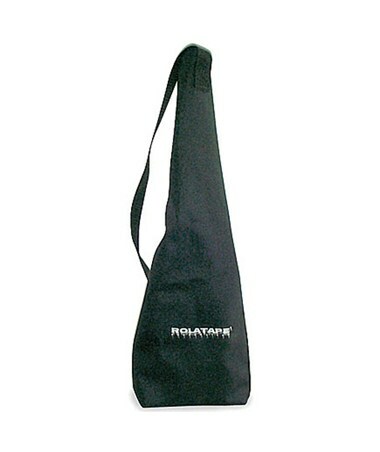 The Rolatape 100 Series Carrying Case provides an attractive way to carry your RT104 or 112 Series measuring wheel. This measuring wheel carrying case has a black nylon finish that is professional looking and weather-resistant. The handle makes it convenient to transport your wheel from location to location, while the secure zipper keeps it secure and dry. The Rolatape 100 Series Carrying Case does more than just carry your measuring wheel. It has a side pocket for a note pad, pens, and other supplies. There is a convenient shoulder strap for hands free toting. Plus, this practical case is durable and machine washable. Water and tear resistant For longer life. Tougher hardware/zipper For more durability. Handy side pocket to Store notebook, pen,etc. Comes with shoulder strap for Convenience in carrying.